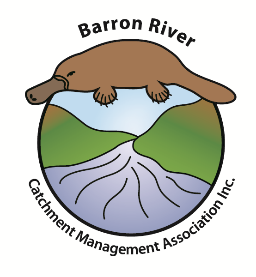 Barron Catchment Care together with RegenAG‘s erosion mitigation expert Craig Sponholtz of Watershed Artisans, are holding a one day workshop in Mareeba. Craig will work with earthmoving contractors to install a series of one rock dams and zuni bowls to convert a problematic table drain that is causing erosion into a functional water management solution that fits as an attractive part of the scenery. Landholders are welcome to attend and learn these practical skills so they can tackle small scale erosion problems on their property. This is an all day event. Please wear appropriate clothing including suitable footwear for outdoors, hat, gloves and sunscreen. A chair if you would like one. Please bring a water bottle for your personal use. water bottle. Smoko, Tea & Coffee and lunch will be provided. Directions from Mareeba: Travel Kennedy Highway towards Kuranda for approximately 5km, then turn right into Malone Road. Travel 500m then turn right into Bellevue Close (a new estate) – travel 600m to end of cul-de-sac. Workshop venue is in the nearby shed. Directions from Kuranda: Travel Kennedy Highway towards Mareeba. After you cross Emerald Creek, travel for a further 1.4 km. Turn left onto Malone Road. Travel 500m then turn right into Bellevue Close (a new estate). Travel 600m to end of cul-de-sac. Workshop venue is in the nearby shed. This workshop is FREE to attend but PLEASE RSVP below for catering purposes.